Jaye Saylor is living her dream as the proud owner of Crystal Clear, a crystal and gemstone shop in the Red Rock area of Sedona, Arizona--a Mecca for tourists and new-age enthusiasts. And since tourists need sweets, Jaye gets to share her dream with her best friend, Sierra, who owns Cravings, a new local bakery. 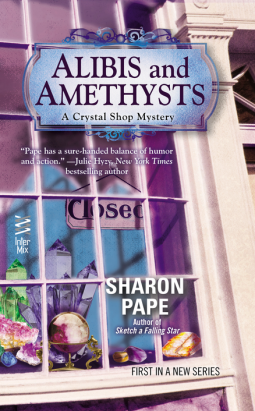 I really enjoy Sharon Pape's Portrait of Crime mystery series and when I saw that she was releasing a new cozy series, I knew I wanted to read it. Too bad, it was a little disappointing. For some reason, I really didn't connect with the characters all that much. 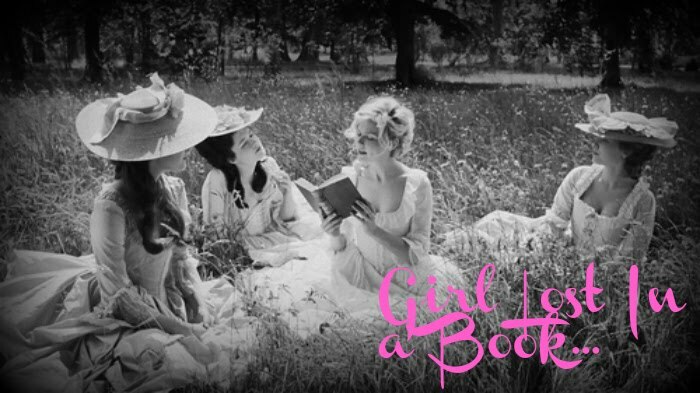 I had a real hard time trying to stay attentive to this book and it really was just okay. Nothing about it really stood out to me and at times it was really weird. There is a mysterious animal that makes an appearance in this book and it is referred to as the "not-a-cat." That just seems so unoriginal and boring and weird to me that I really couldn't get past that. As far as the mystery goes, it wasn't too bad, but it was definitely not something exciting. It seems that weeks go by during this mystery and I just felt that everything didn't flow all that well. At times the characters seemed to annoy me and while I enjoyed Jaye's character, Sierra really irked me. She seemed to be flak and lacking a lot of depth. Maybe that is how the author wanted to portray her character, but to me, Sierra's character just fell flat. I had really high hopes for this one as I like Pape's other series, but really, I just had a hard time getting into this one. I am, as I always am, willing to give the series another shot. I believe in the first mystery jinx and always hold out hope that the second book in the series will redeem it. We shall have to wait to see if the second book does anything spectacular for this somewhat lackluster series. A disappointing debut that just was very odd to me.